We offer professional and affordable kitchen fitting to the Glasgow area using only experienced, friendly tradesmen with years of experience. We offer a free quote and a 100% money back guarantee so you can be certain that you will end up with the kitchen of your dreams. Bring your dream kitchen to life using our unique kitchen planner. Give us a call or post a message. Browse the collections, click through to see the classic collection. 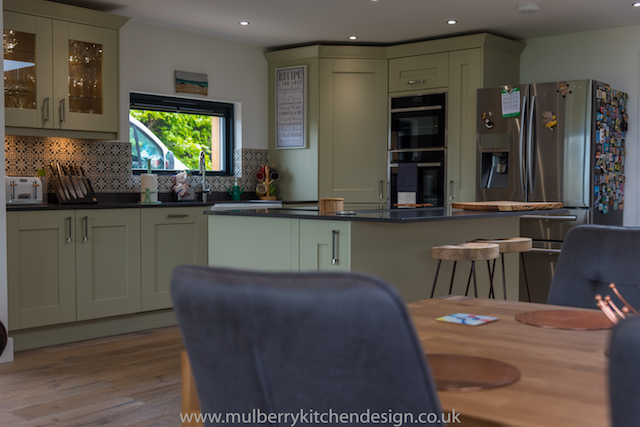 Our commitment to excellence means that a Mulberry kitchen is built to the highest specification using the best materials available. As well as this all our jobs are fully project managed and installed to the very highest standard. We are here with you each step of the way to offer you advice and support on every single aspect of your new kitchen, from cleaning tips right through to door realignment after your kitchen has settled. We pride ourselves on taking care of our customers, and our customer promise means that you can rely on us for all of your aftercare needs. As a result of our pledge to our customers, it is no surprise that 60% of our business comes from customer recommendations. 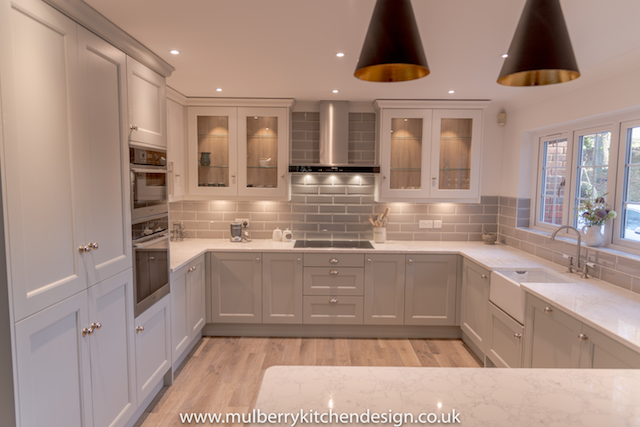 Ensure you get the service you deserve by contacting Mulberry Kitchen Design. We are dedicated to providing you with everything you need to complete your perfect kitchen , from design right through to installation and aftercare, ensuring you get the perfect finish every time. With Mulberry, you can benefit with discounts of up to 40% when compared with over-priced products on the high street. 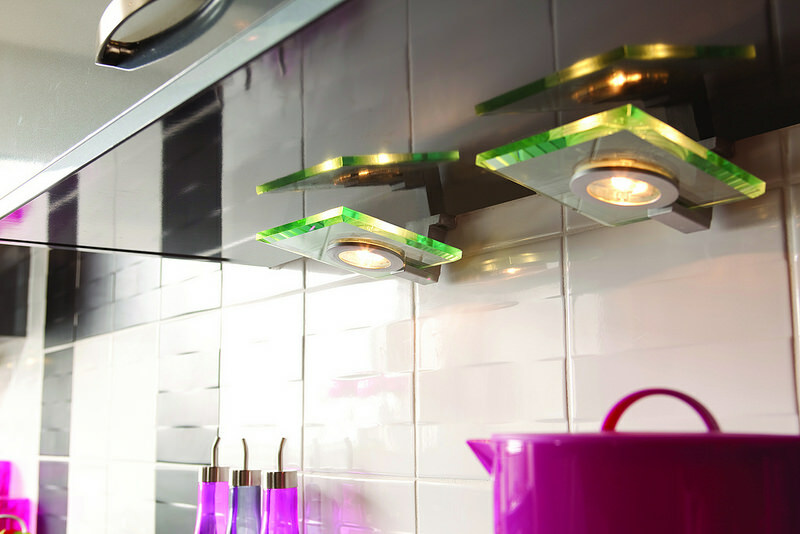 We offer all our customers bespoke, affordable kitchen's – with no hidden costs. Honest, open and direct – the price we quote you is the price you pay. 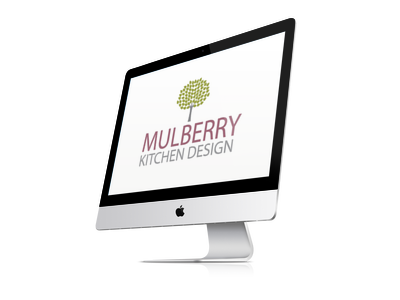 Here at Mulberry Kitchen Design, we understand how important it is to find a company that meets your needs. 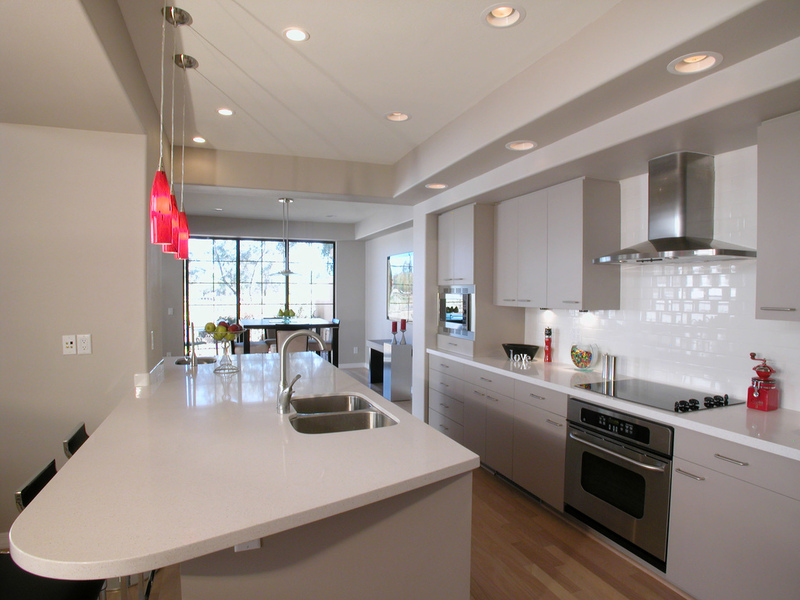 Choosing your perfect kitchen can be stressful, time consuming and can involve an enormous financial commitment. At Mulberry, we are here to help you every step of the way, making your new kitchen installation painless and hassle-free. 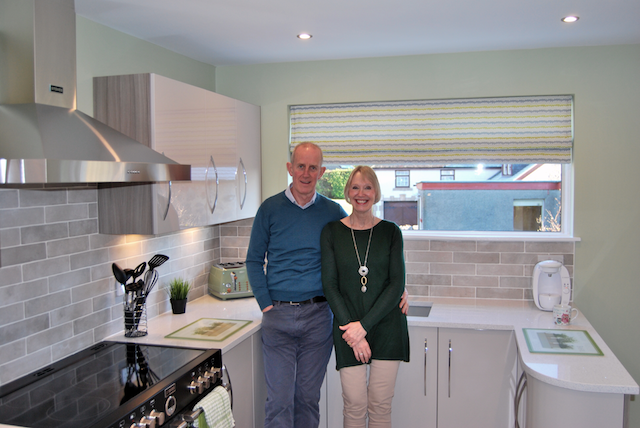 We are a small family business, and our family values ensure that we are committed to sourcing the very best kitchens for you, at affordable prices to suit your needs. We never compromise on style, design or quality, ensuring that you get the best kitchen at the best price. 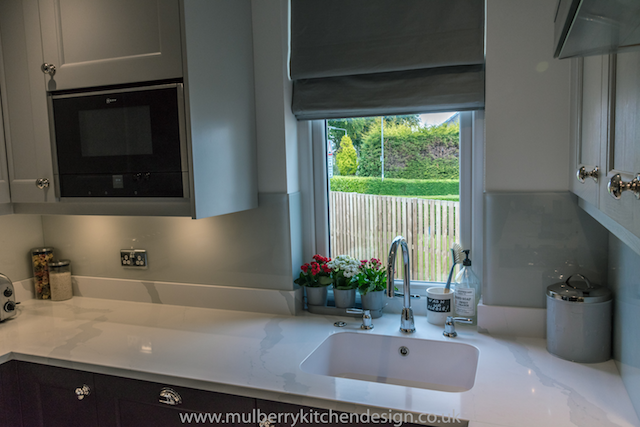 This job was completed in East Kilbride and we hope you will agree this is another stunning kitchen from the Mulberry team. Firstly we opened up the the doorway to allow easier access and let more natural light from the livingroom flow into the space as its a compact room. This job was completed for Mr John Turner from Haddington. This is a little far for ourselves normally but as John had been customer to Mulberry and had a kitchen installed previously by ourselves, we were more than happy to accommodate. 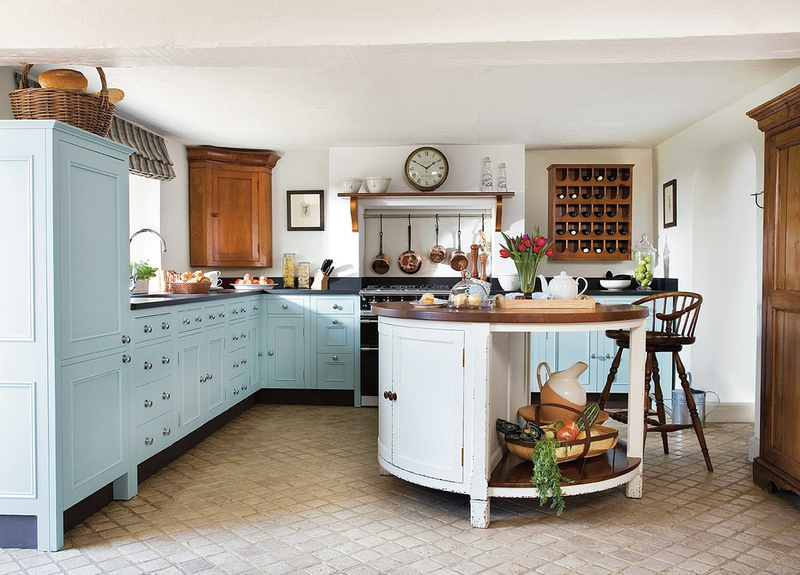 This kitchen has a real country feel with a painted sage shaker door and pewter handles, keeping in line with the style of property. Hopefully you will agree, another truly stunning transformation from Mulberry! John had an extension added to his cottage, once the main living area was built, it was ready for the new kitchen installation. 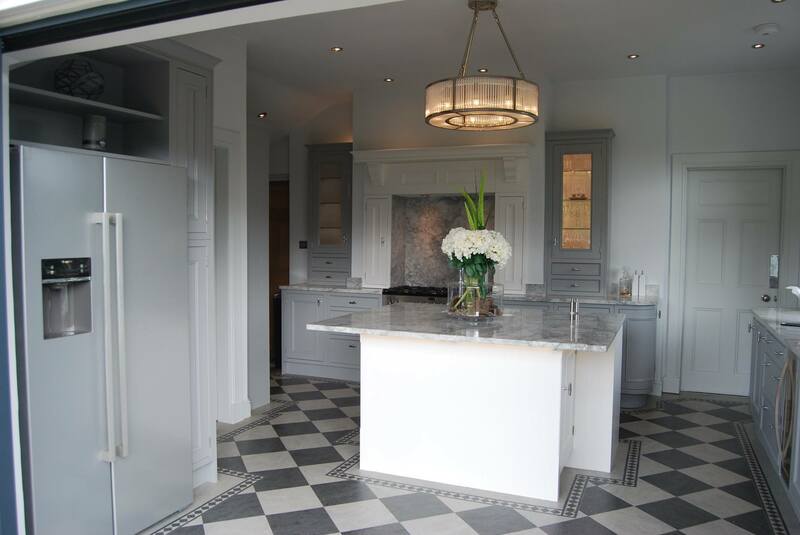 Having used us previously he knew that we would deliver a high quality kitchen and an installation to match. This beautiful fitted In-Frame Painted Shaker fitted kitchen in Clarkston for Craig & Tammy. Its a very rare occurrence ,Mulberry vans are spotted south of the border. When one of our previous customers Chris & Stacey moved to their beautiful new home in London they gave us a call to see if we could help them out. After an initial Skype consultation and hearing of the lovely couples ideas we knew this was a project Mulberry had to be a part of. This project doesn't need an introduction as we feel the pictures really do speak for themselves, this is a timeless classic that will be enjoyed for many years to come! There are countless kitchen designs available today, but for the homeowner looking for something truly unique, a bespoke kitchen could be the way to go. A bespoke kitchen not only gives you the freedom to choose the way your kitchen looks, but will also help you to get the most from the architectural space you have at your disposal. However, it’s not easy to know where to start when commissioning a completely customised kitchen, so our experts are here to give you some guidance. The kitchen cabinets of today offer so much more than a space to store your kitchen essentials. With so many styles, designs and features on offer, it can be quite daunting knowing how to design your kitchen with storage in mind. Do you choose the same configuration as you have now? Is that wine cooler really necessary? And are there any ways you can add more storage without compromising on space? Well, ponder no more. Here is our quick, but thorough guide on choosing the right kitchen cabinets to suit your needs. When we see pictures of new kitchens and kitchen ideas, they usually feature or describe large and sprawling spaces packed to the nines with limitless storage, huge appliances and lots of floor space. The reality for most, however, is something much different. 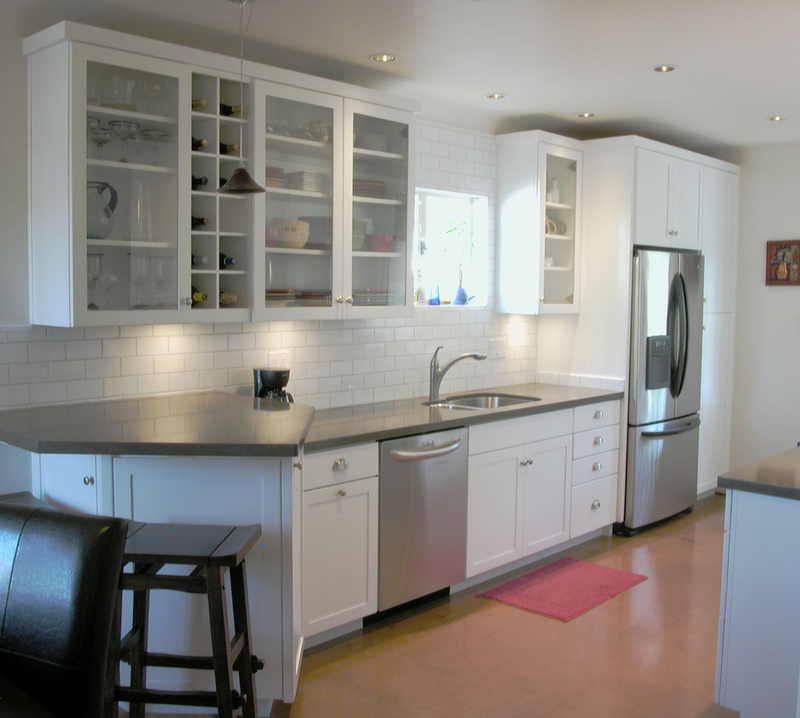 If you are the owner of a galley kitchen the struggle can seem all too real, as you try to find a style that allows you to make the most of the space you have available. Galley kitchens, named after a ship’s kitchen, were traditionally designed to be ultra-efficient by maximising every square inch of space. And that’s exactly how you should approach the problem when rethinking your galley kitchen. That means getting rid of unnecessary clutter and starting from scratch. Here are some ideas for inspiration. From the tap that gives you boiling hot water on demand, to the app-controlled cooker that lets you make dinner while you are on the move, there are lots of cool kitchen gadgets to get excited about this year. We’ve rounded up our favourites, and we guarantee they won’t be confined to the kitchen graveyard of discarded kitchen gadgets!